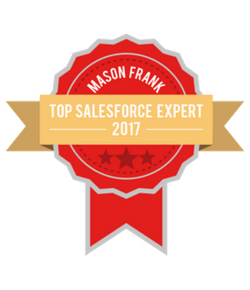 This week's AppExchange hero is Brandi Johson, marketing consultant at Cloud Coach, who is going to present us Cloud Coach Milestones, the ideal tool for simple task and project management on the Salesforce platform. Brandi Johnson is a marketing consultant and certified Salesforce admin. She focuses on helping clients create effective marketing strategies and leverage the right marketing technology to meet their unique business needs. Cloud Coach specializes in enterprise-class project, PSA & PPM software built for businesses that want to make strategic investments in their success. With our unique four-tier approach to project management solutions, as your business grows, Cloud Coach can grow with you. Learn more at CloudCoach.com. Wouldn’t it be nice if everything you had to do at work was easy? Then they may not have to call it work! As businesses grow, the challenges they face get more complex - especially when it comes to working with your team to accomplish your goals. One critical example of this is new customer onboarding. Whether you’re in SaaS, professional services, or manufacturing, having a streamlined customer onboarding program is vital to your success. A strong customer onboarding program helps you increase customer satisfaction and reduce churn. Plus, it reduces the stress on your team as they’re moving through the process. Let’s take a look at Serenity Software - a B2B SaaS company. 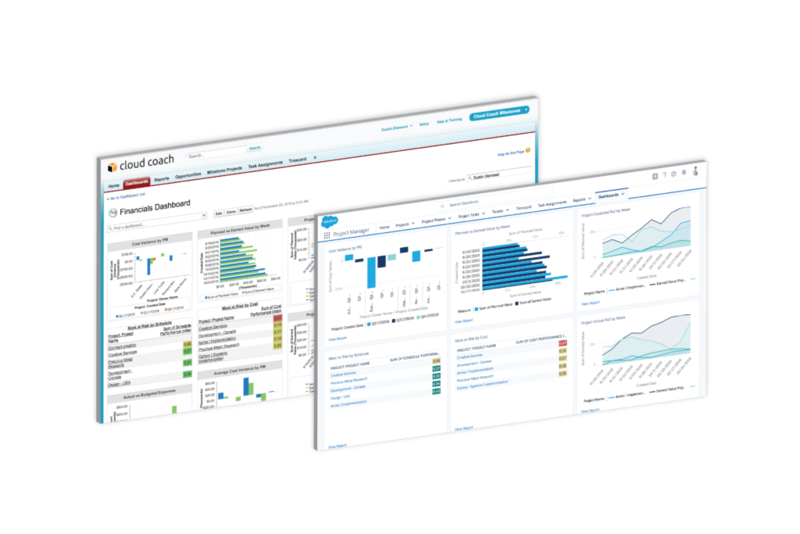 They’ve nailed their sales process leveraging Salesforce. But once a new customer signs on, the wheels start to come off the process. Emails fly back and forth between the account executive and customer support team trying to track down the details needed and sharing status updates. The customer success manager keeps shared spreadsheets for each of the clients that they’re working with. Unfortunately, the team isn’t great about keeping them up-to-date with status updates - leading, of course - to more emails. They also tried using Trello to keep track of their projects, but they had the same problems: nobody wanted to log into yet another system to see what they needed to work on or post status updates. Finally, the customer success manager discovered Cloud Coach Milestones in the Salesforce AppExchange. In minutes, she was able to start organizing her customer onboarding projects and increasing collaboration with her team. She started by creating a template from the spreadsheet she had been using. It was easy to add additional details to each task using subtasks, and assign the work out to her team. Plus, Cloud Coach Milestones put everything into an easy-to-use Gantt chart so she can see at a glance how long everything each tasks takes, and when things are running behind. Serenity Software took streamlining their projects a step further, and leveraged Salesforce Process Builder to automate their project creation. 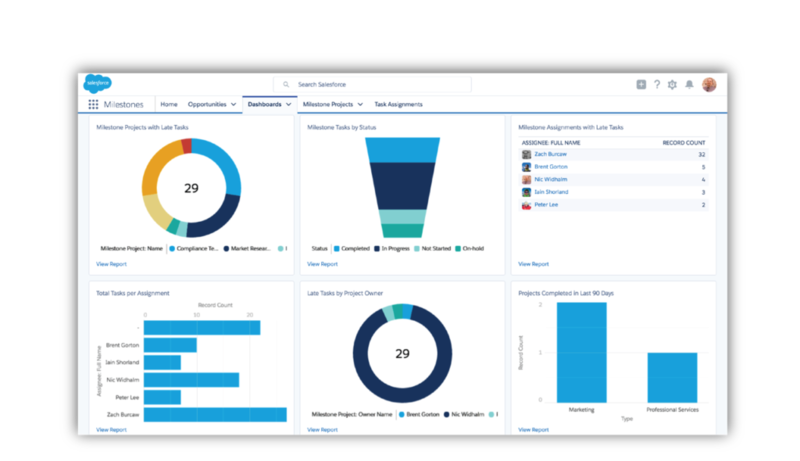 Now, whenever an opportunity is marked as Closed-Won, a new project is automatically created leveraging the template the Customer Success Manager created. Those new projects are automatically connected to the account, so everyone has a 360° view of the customer and the project while its in-progress. With Cloud Coach Milestones, Serenity Software streamlined their project management processes. They have happier clients, faster onboarding, and better team communication. Since all of their projects are in Salesforce where they’re already managing the rest of their business, they can see all of their important business KPIs on centralized dashboards. No data imports, no APIs. Could Cloud Coach Milestones work for your business? If you run projects, then yes, it could. Plus, you can get started in less than 10 minutes. Step 1: Install Cloud Coach Milestones from the Salesforce AppExchange. Of course, we recommend installing into your Sandbox, not your production org. Step 2: Check out the getting started videos. When you visit the Cloud Coach Milestones App, you’ll see a tab for “Getting Started.” These videos give you a great overview of Cloud Coach Milestones in action, and help you answer a ton of questions before they get asked. Step 3: Create a project. Before you start sharing Cloud Coach Milestones with your team or customizing, I recommend that you build your own simple project. This helps you see how Cloud Coach Milestones works out of the box so you can make better choices about integration and customization. Step 4: Customize your projects. 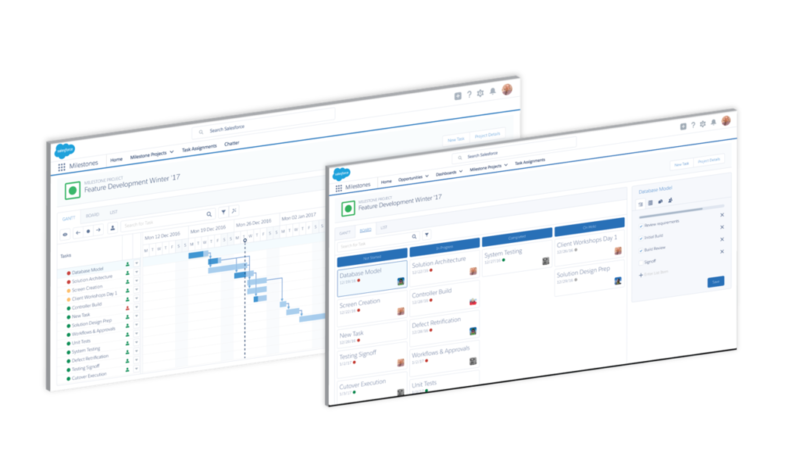 Since Cloud Coach Milestones is built on the Salesforce platform, you can do a lot of customization on your projects to meet your business needs. For example, you may want a field to identify what type of project your team is doing for a client. Choices would be onboarding, maintenance, or special request. By adding a field on the project object, you can add this customization in minutes. Step 5: Integrate with your existing objects and processes. Out of the box, Cloud Coach Milestones has lookup relationships to Opportunities, Accounts, Cases, and Campaigns. To associate projects with another object (custom or standard), create a new custom lookup field that points to the Cloud Coach Milestones object. Then, add the Milestones related list the page layout, and any projects you launch from that list will be visible on the project. With Process Builder, you can automatically create projects from your business best-practice templates. The Cloud Coach Milestones Knowledge Base has details on how to autocreate projects with Cloud Coach Milestones and lots more. CCMI | Minimum User Permissions – grants a user access to all standard Milestones functionality and views. A user with this permission set assigned can create their own projects, view projects that aren’t their own, and manage their tasks and projects. CCMI | Admin Permissions – permits exactly the same functionality but also includes the ability to load sample data. This is useful for Partners or Users who need to demo or test the product but do not want to spend time creating sample projects. 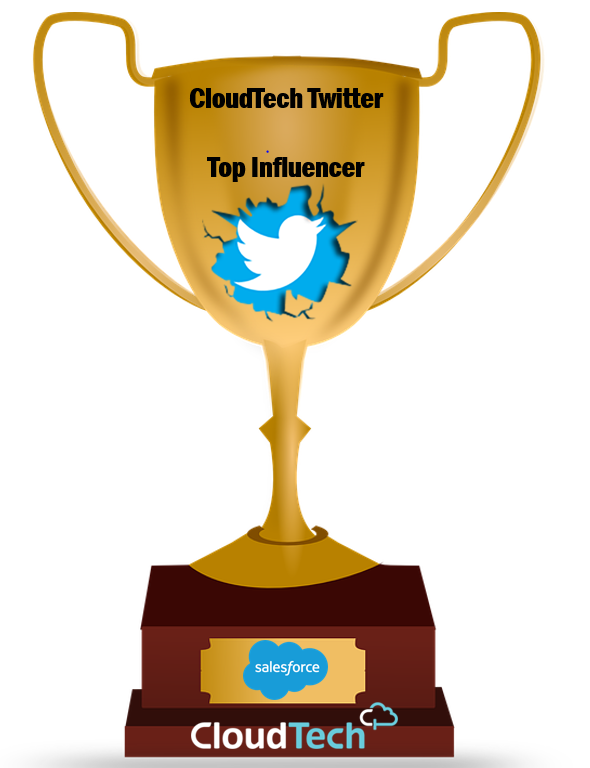 You’re never alone when you’re working with Cloud Coach Milestones. In addition to the extensive knowledge base that’s growing every week, we offer a free 30-minute onboarding consultation for new installs, and weekly open forum webinars to answer your questions. 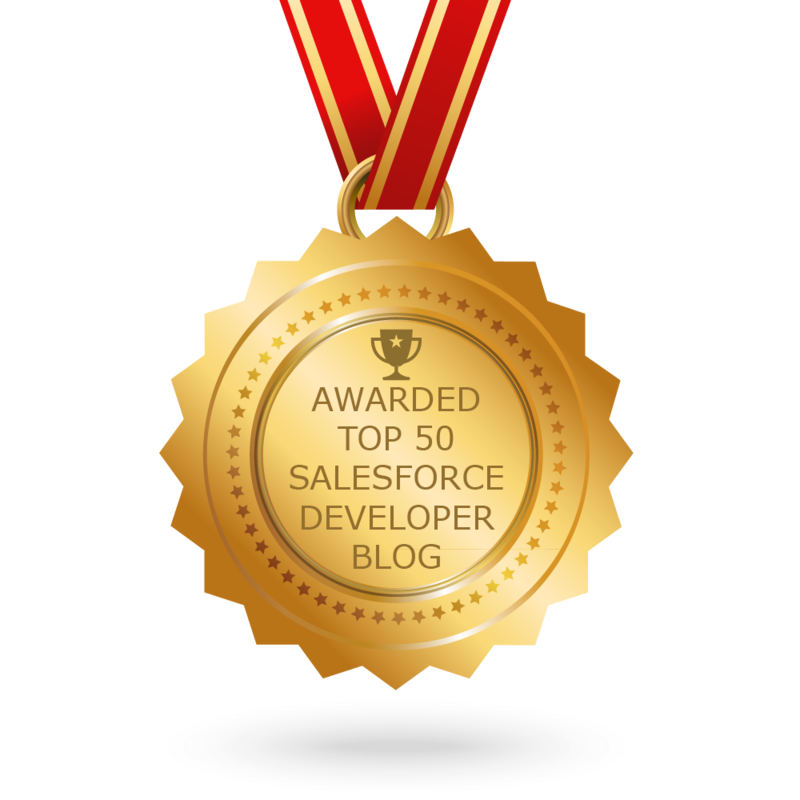 Ready to get started with Cloud Coach Milestones? Just head over to the Salesforce AppExchange and click “Get It Now” to get started! And it's available on Salesforce Lightning and Classic!